In America the race wins and titles were pretty spread out this year, as Rockstar Energy Husqvarna, Monster Energy Kawasaki, and Monster Energy/Yamalube/Star Racing Yamaha shared the titles and Red Bull KTM, GEICO Honda, Monster Energy/Pro Circuit Kawasaki, and TLD/Red Bull KTM joined them in notching races wins. Not so in Europe. With the wrecking balls of Jeffrey Herlings in MXGP and Jorge Prado in MX2, as well as their respective running mates Pauls Jonass (Herlings' MX2 understudy) and Antonio Cairoli (Prado's mentor) Red Bull KTM Factory Racing in Europe absolutely dominated the FIM Motocross World Championship. In MXGP, Herlings won an astonishing 17 overalls of the 19 rounds he raced; Cairoli won the two races Herlings didn't. KTM also won 39 of the 40 motos. Only Kawasaki rider Clement Desalle was able to pry a moto win and an overall away from the Orangemen in Russia. In MX2, KTM wasn't quite as dominant, as the 17-year-old champion Prado won 12, which was more than half the races himself, and Jonass, injured for a time, managed to take five, leading just three overalls for everyone else, and seven of the 40 motos. 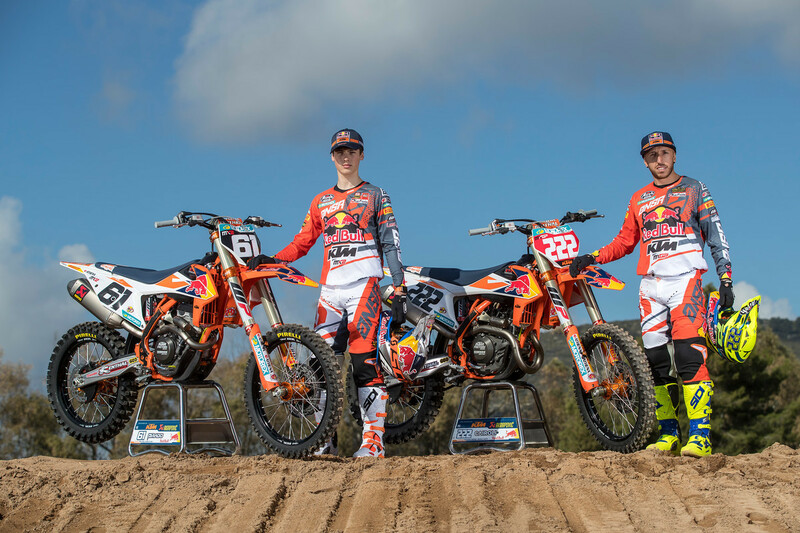 Add it all up and KTM won 72 of 80 motos in the 2018 FIM Motocross World Championship, were 1-2 in both classes, and had a moto-winning percentage of an astonishing 90 percent. 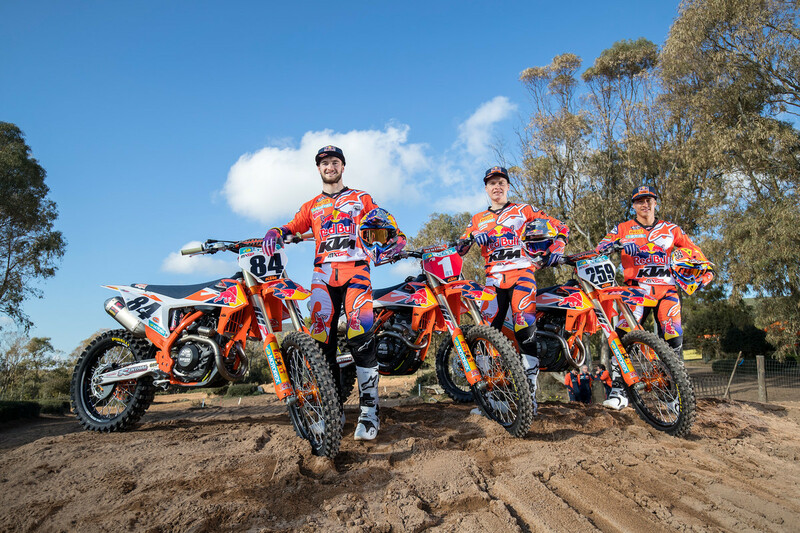 No brand has ever dominated a series in both divisions like KTM in Europe did this year. We asked our man in Europe, Adam Wheeler, to break down how the structure of the team works. And of course Coldenhoff brings us to the clincher: Red Bull KTM Factory Racing also swept all three motos in the 2018 Monster Energy FIM Motocross of Nations at RedBud; Coldenhoff taking two wins as Holland’s Open rider, Herlings one as Holland’s MXGP entrant, and the Spaniard Prado won the MX2 class outright. Somehow, they made it all work—and work extremely well—in 2018. Never. 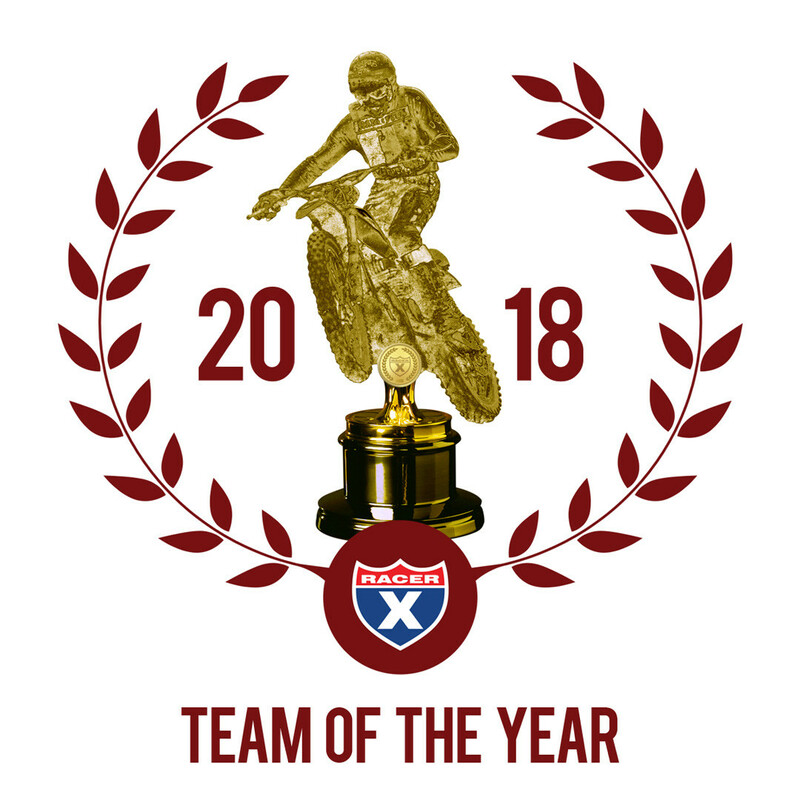 That’s why Red Bull KTM Factory Racing, which won the vast majority of those races, wins the first Roger as Racer X’s 2018 Team of the Year.